I love pie. 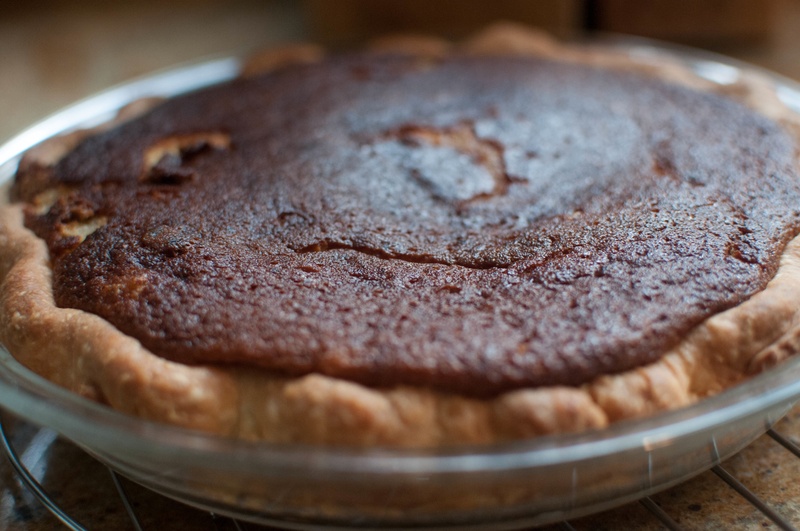 I especially love pie from Four and Twenty Blackbirds, which you can probably tell considering this is the second recipe from them that I’ve posted, the first being their Black Bottom Oatmeal Pie. Now, you may look at the title of this post and say “Salty honey? Why would anyone eat that? !” But I can assure you that adding sea salt to this pie brings it to a whole new level in terms of, well, deliciousness. 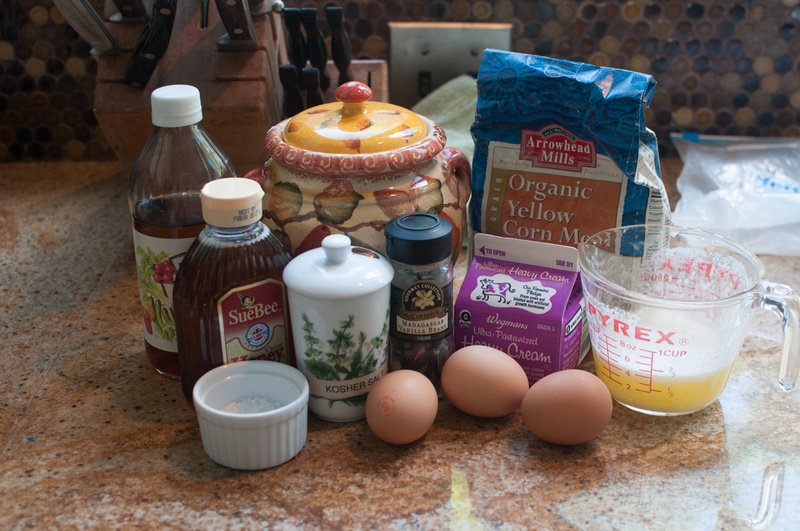 Here are the ingredients for the filling. 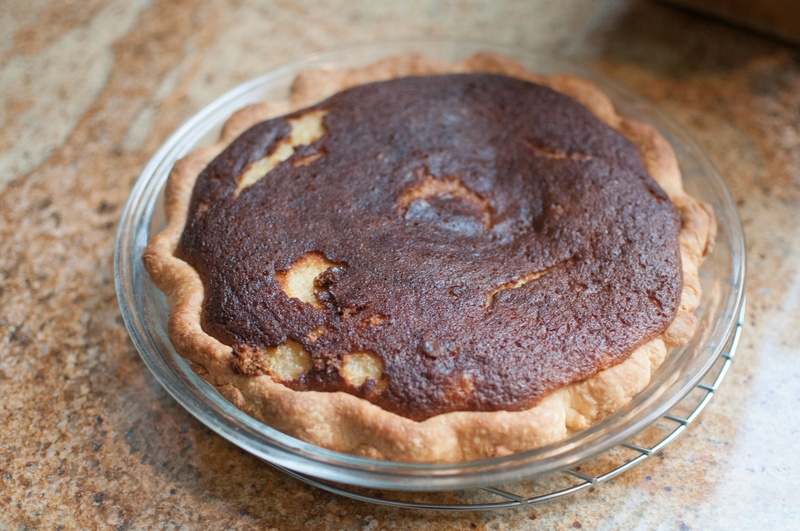 For this pie, I used my buttermilk pie crust, but you’re welcome to use any 9-inch pie crust you like. To start, heat your oven to 375 F and get yourself a large bowl. And some cornmeal and salt. 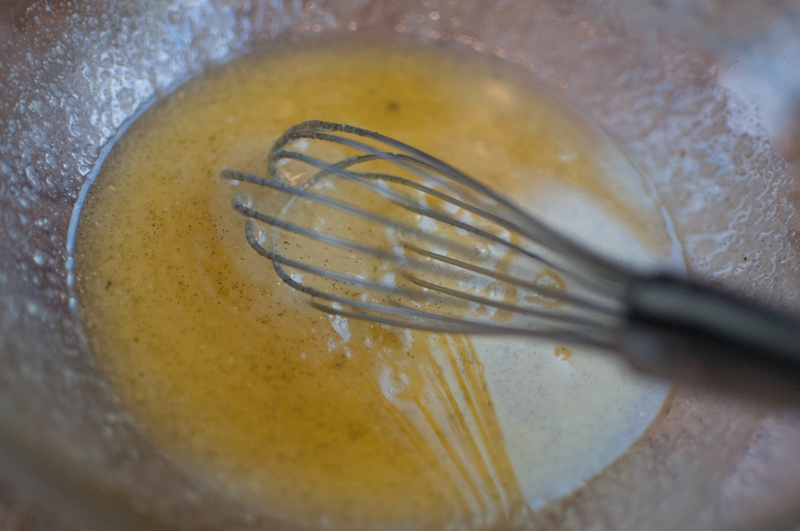 Give it all a nice whisk. 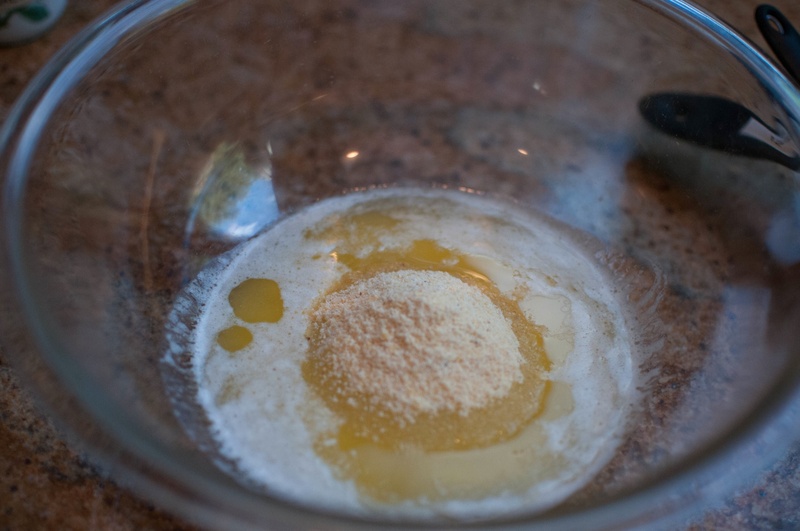 Next, split a vanilla bean and scrape out the caviar inside, adding the caviar and whisking until everything’s combined. And give it a whisk. 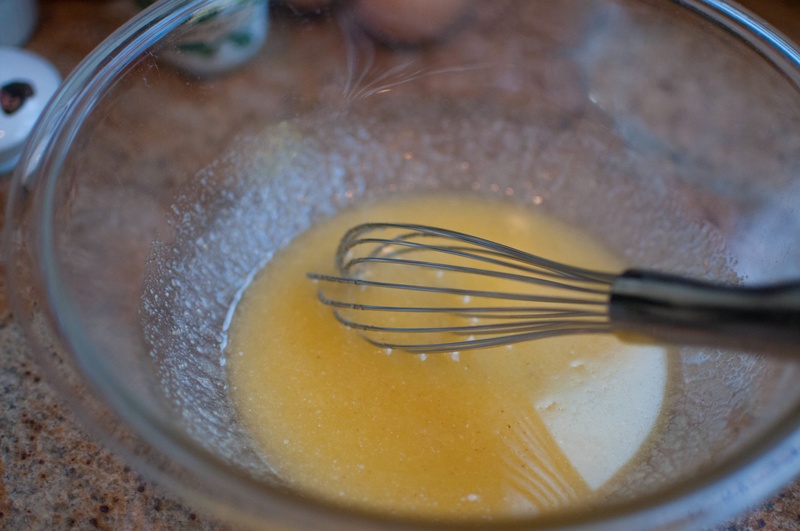 Now whisk in the eggs one at a time. 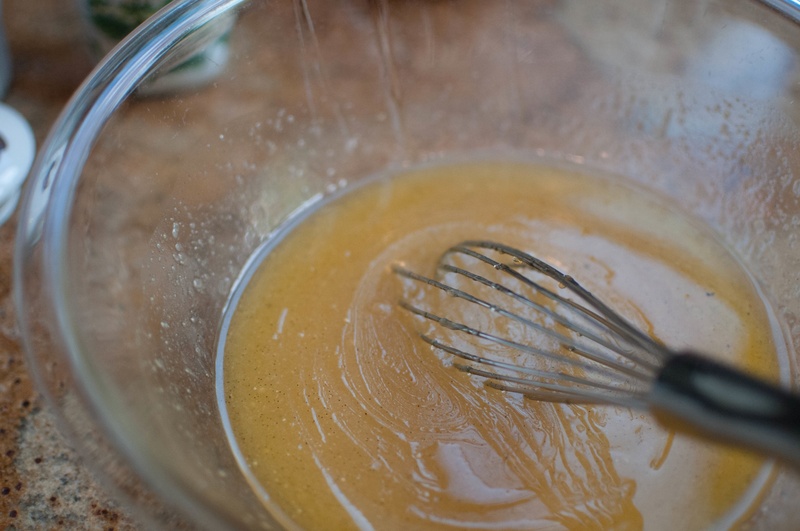 All that’s left to do is whisk in your cream and vinegar, and you’re done with the filling! And pour the filling right on in. Bake this for 45-55 minutes, rotating the pan halfway through. 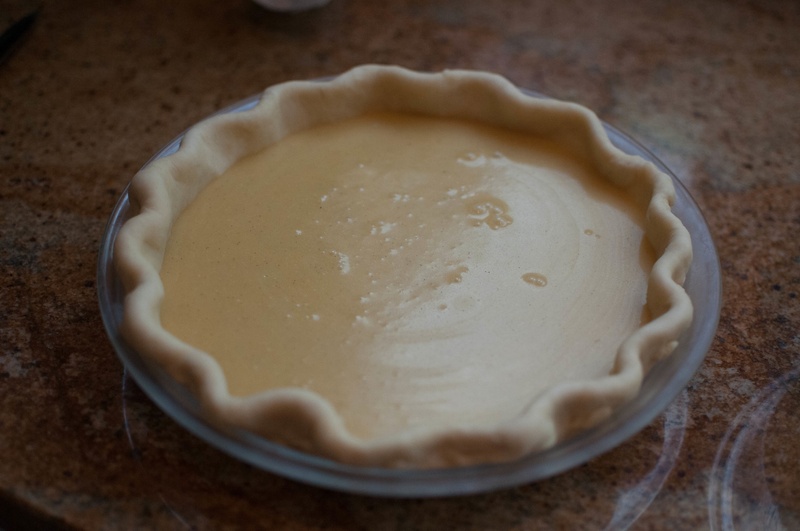 The center should be relatively set, the pie should be golden, and the edges should be puffy. I took mine out a few minutes early, but only because it was getting pretty dark. This is such a good pie. Seriously. But now comes the hard part that you’re going to hate me for– this pie needs to cool for a good 4 hours before you eat it. I know! I know! It’s going to be hard. But it’ll be worth it in the long run, I promise. 2. 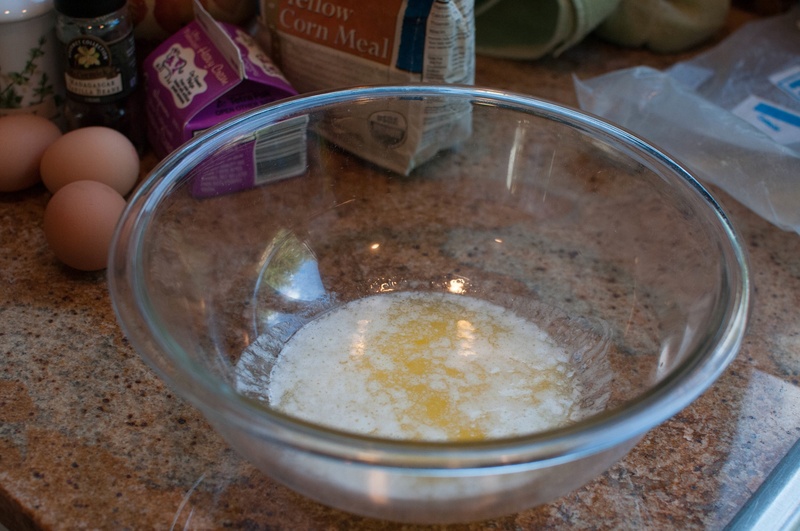 In a large bowl, whisk together melted butter, sugar, cornmeal, and salt. 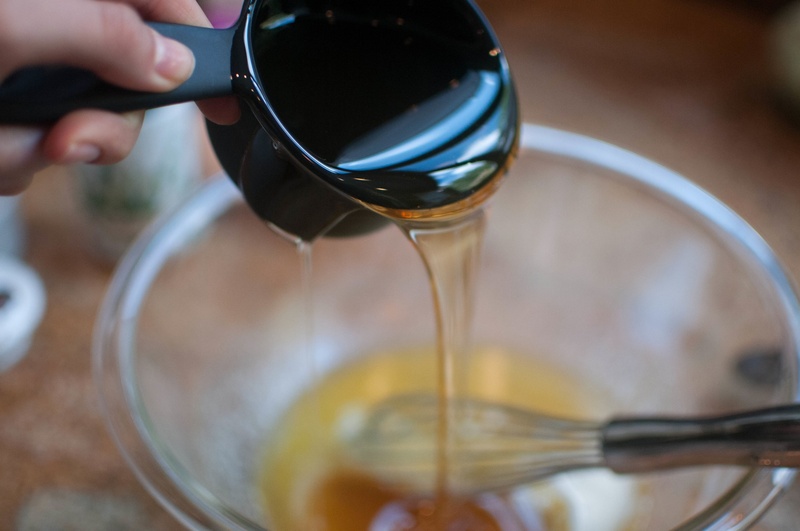 Whisk in vanilla caviar thoroughly, and then whisk in honey. 3. 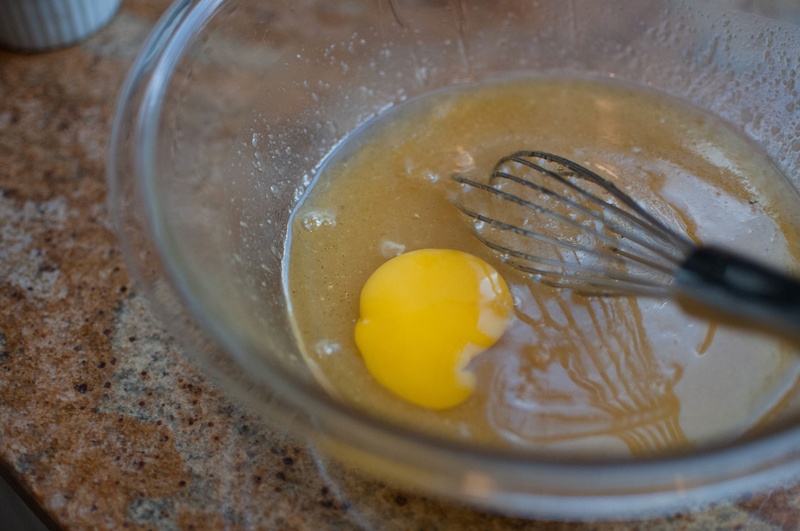 Whisk in eggs one at a time. 4. 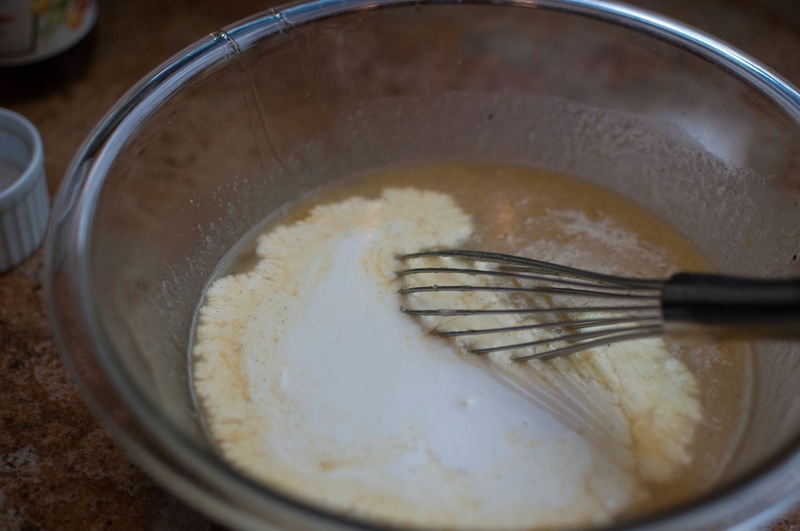 Add heavy cream and vinegar, whisking to combine. 5. 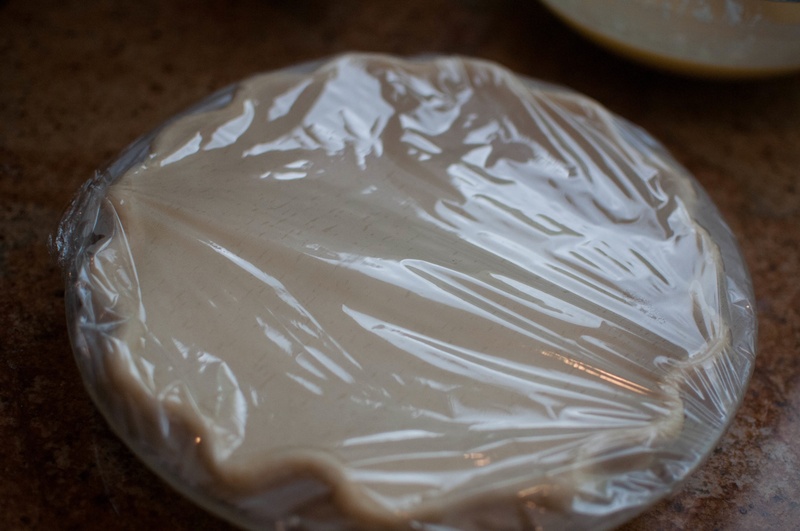 Pour filling into pie crust and bake for 45-55 minutes, rotating the pan halfway through. 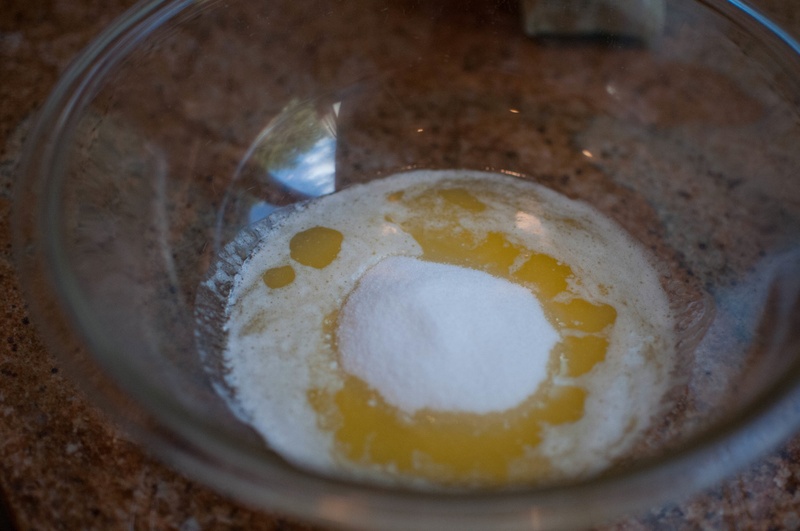 The pie should be golden, the center should be relatively set, and the edges should be puffed. 6. Cool for 4 hours. Sprinkle on sea salt right before serving. If you are ever in the mood to bake a pie, or even just to bake, I strongly urge you to try this recipe. It’s simple and yummy, and fast to prepare. Happy nibbling! Thank you! I’d have to say it’s one of my favorite pies right now, and it’s fairly simple to make.